A fire early Wednesday morning at 1045 County Road 303 destroyed a house. 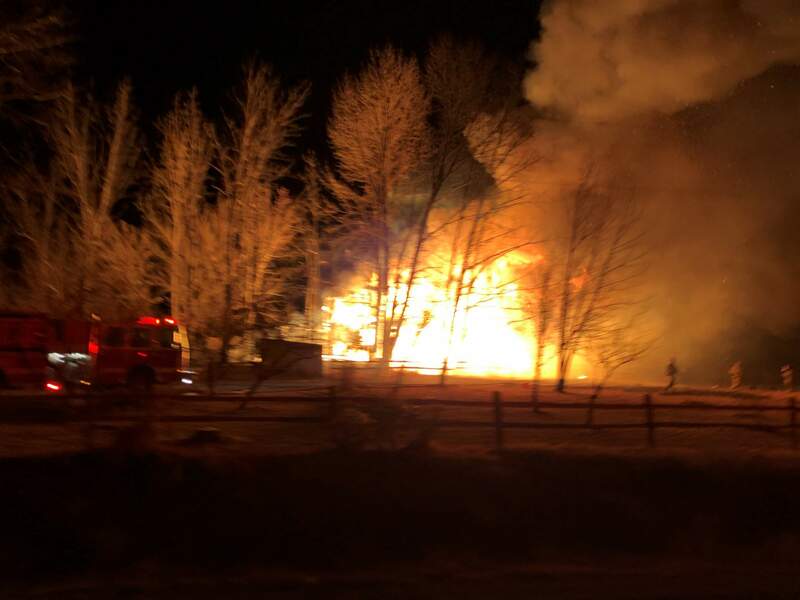 A family is starting out the new year homeless after its house burned early Wednesday morning on County Road 303, southeast of Durango. Durango Fire Protection District was called to 1045 County Road 303 at 1:44 a.m. on a report of a chimney fire, said Karola Hanks, fire marshal with the Durango Fire Protection District. Hanks said no one was injured, neither family members nor firefighters who battled the blaze, and the family is currently staying with neighbors until they sort out the situation. Hanks did not have the family name nor the number of people in the house. “It’s a very difficult way to start out the new year,” she said. The house is a total loss, Hanks said. An investigation into the cause of the fire began at first light Wednesday, but no cause has yet been officially declared. A water tanker shuttle was conducted to battle the blaze from the Three Springs Boulevard and U.S. Highway 160 intersection and that required crews to sand the intersection Wednesday morning because of an ice sheet created during the tanker shuttle, Hanks said. DFPD crews are still on the fire scene Wednesday morning. Seven tankers , three engines, two medical units and 24 firefighters responded, Hanks said. “It’s that time of the year. People are using their heating equipment,” she said. “Everyone should make sure their equipment has been properly maintained and cared for, and the more you use the equipment, the more maintenance and care it needs,” she said.